This is a printable math activity to play with a small group or an individual student. You will need a dry erase marker (whiteboard marker)! 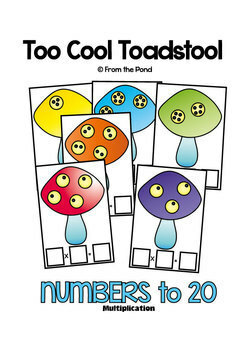 Your student/s will have so much fun finding our how many dots there are altogether on each toadstool, to solve the multiplication problems. The visual support offers students help as they make the transition from using concrete materials to solve multiplication to completing them with a formal written maths sentence. This pdf file contains a teaching tips page, clear easy-to-read instruction sheet, sixteen colourful game boards to print and laminate and a worksheet. Please find more Write n Wipe cards in our store! 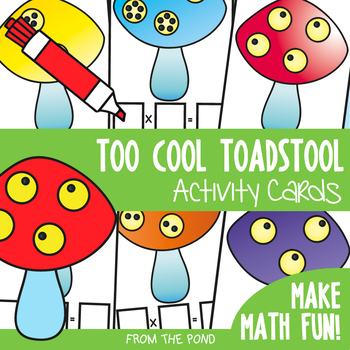 Find more fun games, centers, printables, worksheets and crafts for multiplication in my TpT store HERE!